Find out what the Secrets are behind Atlantis and how important the Christ Energy is for Humankind and the World and more secrets revealed, I can recommend this book. If you ever wanted to know more about Atlantis, how important the Christ Energy is for Humankind and the World and more secrets revealed I can recommend this book. Diana Cooper is leading you through this magnificent story that she traveled by herself before from the Sphinx in Egypt to the White Lions in Timbavati, South Africa over to the Dolphins in Mozambique and Hawaii. All of these creatures play an important role in the help of getting back the energy of the golden age that is expecting us in a few years. The story is set in Africa and goes from Cairo to South Africa to the Timbavati where a white lion cup plays an important role, as it is the bringer of the Christ Energy spreading the world again. 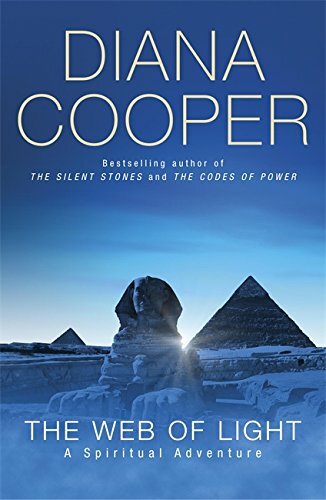 This quest again, as the other two Novels that Diana Cooper has written before in “The Silent Stones” and “The Codes of Power” is with Helen and her daughter together with her husband who are working for the light – the good in the world. You not only serve the planet with this action, but also the healing within yourself.